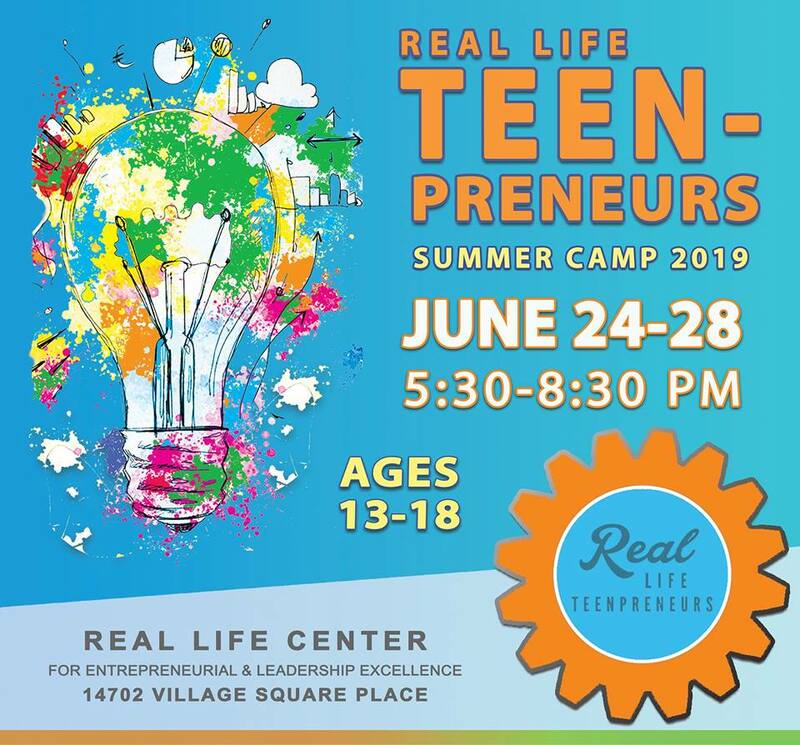 REAL LIFE TEENPRENEUR ENTREPRENEUR SUMMER CAMP! This exciting one week summer camp is designed to inspire, encourage and teach entrepreneurship to teens. Our goal is to help uncover talents and passions within our teens while teaching problem-solving methods and entrepreneurship. During the week participants will discover their passions, learn how to plan for a business, learn business basics, leadership development and participate in their very own teenpreneur fair where they will highlight their products and ideas all while in a fun, innovative environment. Time: Everyday from 5:30 Pm.- 8:30 PM. Space is limited so register now to reserve a spot for your Kidpreneur! ***You may want to give an opportunity to an underserved child to discover the entrepreneurial dream within. We are raising a scholarship fund for 30 kids from an economically challenged area to attend the week-long Real Life KidPreneur camp this summer. Cost per child is $229. You may send all inquiries to info@rlcrva.com Itinerary will be sent prior to camp date! SPONSORSHIP Packages are also available! 3. Participate in the Entr Expo June 28th.